One of our favorite ways to eat potatoes is in potato salad. 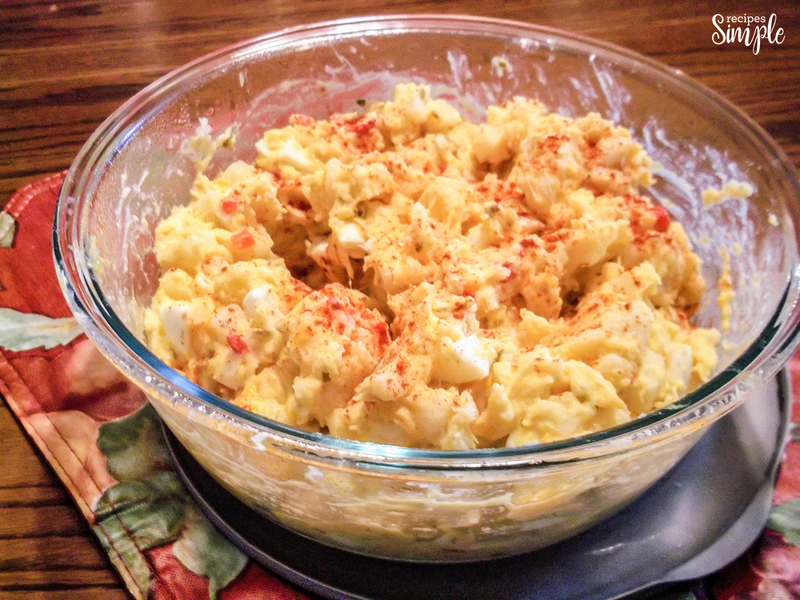 This is a really easy way to prepare potato salad and it is so good! You can add bacon, celery, onion or broccoli to the recipe if you like. Some people prefer sweet relish over dill relish. I have a friend who adds bell pepper to hers. I like mine simple and follow the recipe exactly as it is. So good! In large pot add frozen Southern style potatoes and cover with water. Bring to a boil over medium high heat. Boil for three minutes and drain. Pour potatoes into large mixing bowl and add the cheddar cheese. Mix mayonnaise, mustard, pimentos and dill relish and stir into potato mixture. Add chopped eggs, and salt and pepper. Stir until mixed together. Sprinkle with Paprika. Refrigerate for several hours or overnight before serving. If your family does not like pimentos just leave them out. I have made it both ways and it is good with or without them!